saw this posted by new owner on Epi FB page. Owner hasn't responded to my inquiry about it. Is this a special Sweetwater issue...... 'Mojave Faded' ? Yeah that's a great color. I wouldn't mind getting a Double Cut when they come out. I think it's a Honey Burst because this fretboard looks like rosewood and the new models (Mojave fade) are made with pau ferro. Sorry didn't post my text? Any eta on those double cuts? Check out Sweetwater. They have several finishes "coming soon". $599 I think. My PTP Honey Burst isn't anywhere near as gorgeous as the guitar I posted above.. But.... cycling thru the PTP's on the Epi website there is a considerable difference in the appearance of the fretboards. Some very light...Some really quite dark. And all supposedly pau ferro. Supposed to start shipping this month. Thanks, perfect timing for me. 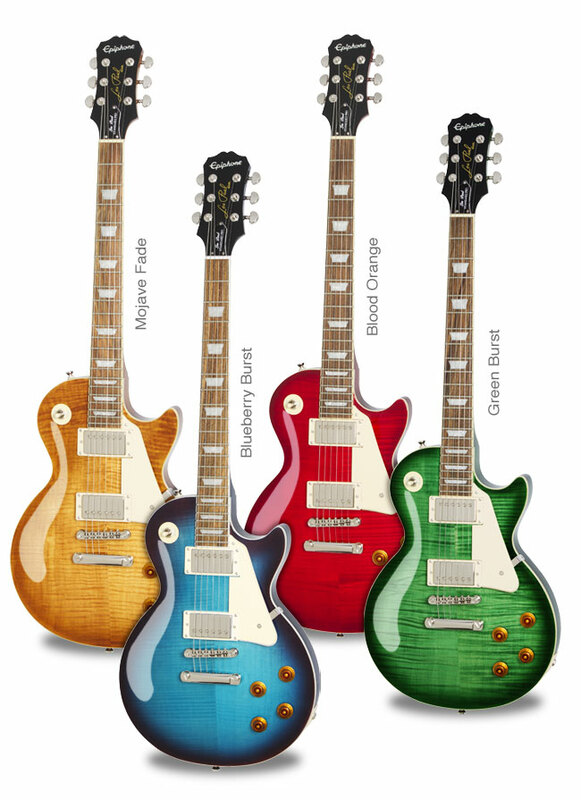 I think the burst looks sweet, and if I'm being truthful...... that guitar would have to be very flawed for me not to buy. Lol . I've been waiting on the d.c. for a long while, and the new version looks killer. Ive got those gold knobs, can't see the numbers, but that somehow taught me to just adjust all by ear, both tone and volume.